Trace Compass supports the raw textual format of various ftrace plugins. 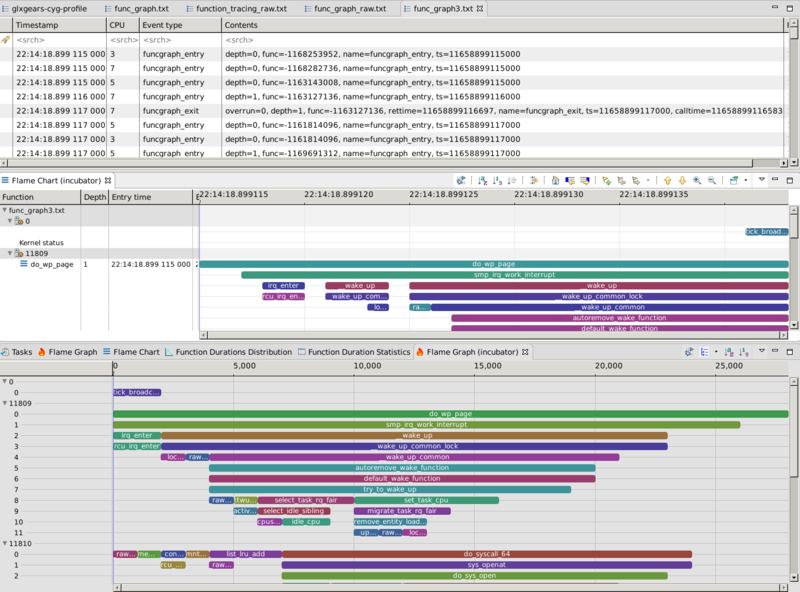 ftrace traces with kernel events are kernel traces and all analyses available with other kernel traces in Trace Compass are made available for those traces: Kernel resources and threads analyses, I/O, memory, critical path, etc. The function graph plugin of trace allows to record the function entry and exits of various kernel functions. 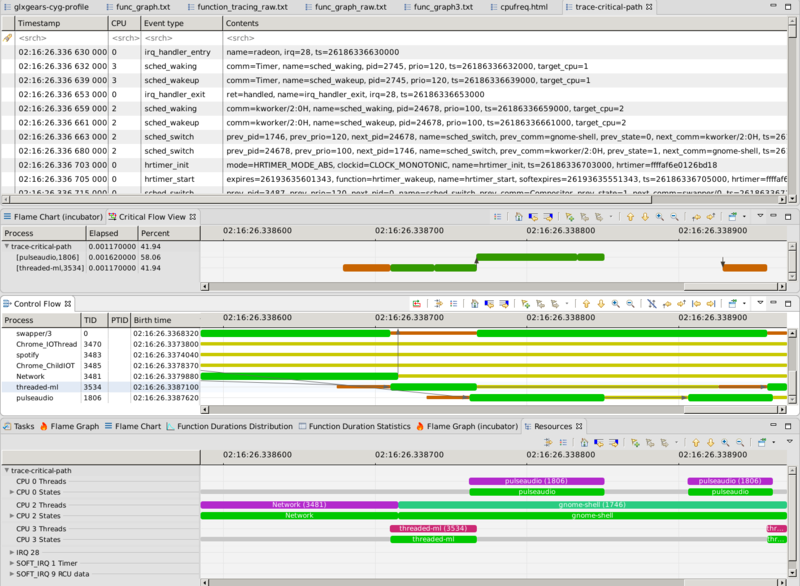 With this kind of trace, we can obtain a callstack / flame chart / flame graph for the various threads on the machine. There are two ways to generate the trace in the human readable raw format. Using ftrace via the debugfs filesystem or using the trace-cmd command-line tool. The filesystem could be mounted elsewhere. The -R argument is needed to get the raw format. To obtain a function graph with ftrace, tracing can be done with the following command. As the function graph can be quite big, using the -F flag allows to trace the calls only for the command being traced, here ls. The resulting trace will contain symbols. To resolve the symbols, the kernel symbols should be exported from the command line and configured in Trace Compass. See the trace-cmd documentation for more tracing options.